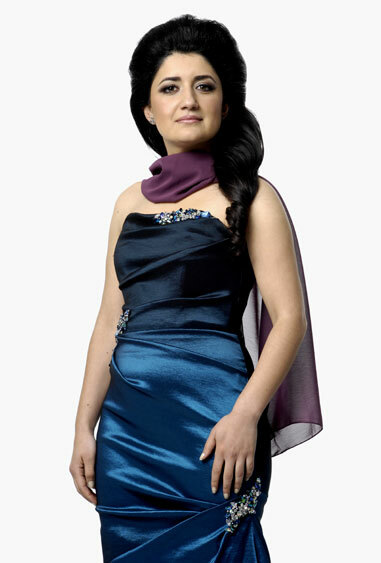 Coloratura Soprano Pervin Chakar was born in 1981 in Turkey and studied vocals under Oylun Erdayı. She obtained a Master’s Degree from Conservatoire F. Morlacchi in Perugia under the guidance of Michela Sburlati. She participated in several masterclasses, including with Montserrat Caballé, Luciana Serra, Lella Cuberli, Salvatore Fisichella, Mietta Sighele, Veriano Luchetti and Tiziana Fabbricini. 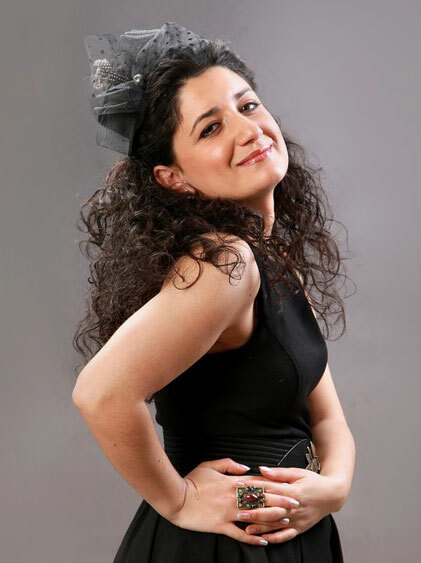 She made her debut with Carl Orff’s Carmina Burana at the International Music Festival in Turkey, followed by the role of Nerea in Handel’s Deidamia at the Ankara State Opera House. Her Italian debut came in 2006 as Sophie in Werther at the Teatro Rosetum in Milan. This was closely followed by appearances as Madame Herz in Der Schauspieldirektor in Perugia and Città di Castello and in 2007 as Marianne/Duenna in Der Rosenkavalier at the Teatro Politeama Greco, Lecce. In 2009 she also made her debut at the Teatro La Fenice as Anna Kennedy in Maria Stuarda, conducted by Fabrizio Maria Carminati. Maria Stuarda was released as a DVD from Major discography. She performed as Fanny in La Cambiale di Matrimonio at the Wexford Opera Festival, conducted by Christopher Franklin; as Gilda in Rigoletto at the Musica Riva Festival. 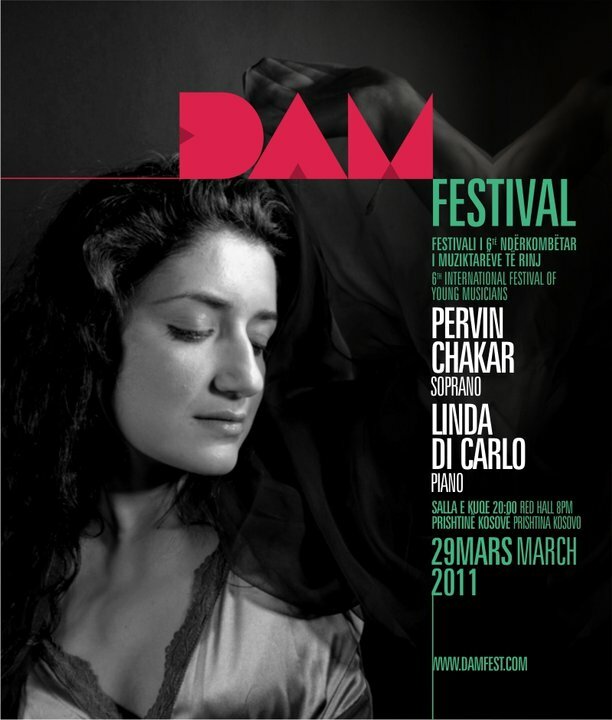 In 2010 she interpreted as Eine Funfzehnjahrige in Lulu at Teatro Alla Scala and Theater An Der Wien, conducted by Daniele Gatti; a concert with Istanbul Borusan Philharmonic Orchestra, conducted by Sascha Goetzel; a recital in the DAM Music Festival in Kosovo - poster. 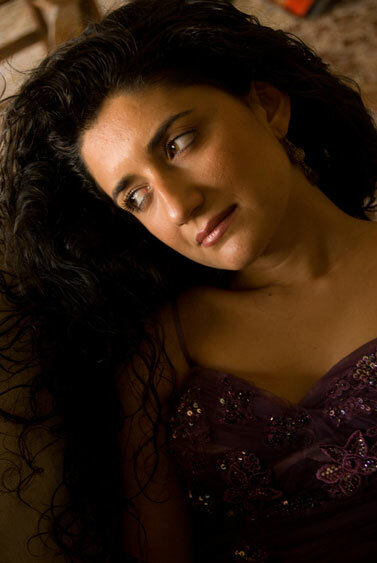 She was also invited to sing with the Ankara Bilkent Symphony Orchestra and as soloist in Gloria RV 589 by Vivaldi at the Teatro Giuseppe Verdi Trieste; in Riccione at the Gala concert with the Orchestra Sinfonica dell’ Emiglia Romagna Toscanini; as soloist in the 36th Della Valle D’Itria Festival in Martina Franca for the series of concerts of sacred music in Messa di Santa Cecilia by Scarlatti. 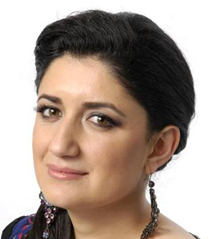 In 2011 she performed as Musetta at the Teatro R. Valli di Reggio Emilia for the 50th anniversary of the debut of tenor Luciano Pavarotti in La Boheme / Vincerò, organized by Luciano Pavarotti Foundation; a recital at the D- Marin Turgutreis Music Festival and a concert with Bursa Symphony Orchestra in Turkey; as soloist in Carmina Burana at the Musica Riva Festival with the World Youth Orchestra, conducted by Marco Boemi. She sang for “In Memory of the Luciano Pavarotti” concerts at the Auditorium Conciliazione in Rome. The renowned soprano Montserrat Caballé invited her to sing in a concert at the Auditorium Saragozza in Spain and then she sang in Saint Petersburg at Oktiabirsky Hall with the Symphony Orchestra of Saint Petersburg and with the Philharmonic Orchestra of Moscow at the Kremlin Palace, conducted by Fabrizio Maria Carminati; as soloist in Magnificat by Vivaldi and J. Rutter in Sulmona and Pescara in Italy. In 2012 she sang in Requiem by Mozart with Orchestra Benedetto Marcello in Sulmona, Pescara and Campobasso; a recital tribute to the Tenor Roberto Turrini in Riva del Garda; a concert in Teatro Comunale Modena with Ennio Morricone, Andrea Bocelli, Jeff Beck in memory of the Pavarotti; as Rosina in Il Barbiere di Siviglia at the Lismore Music Festival in Ireland directed by Dieter Kaegi. She was invited to sing in several concerts at the 40th Istanbul Music Festival; as Frasquita in Carmen at the Macerata Opera Festival and a concert tribute to the Tenor Luciano Pavarotti at the Teatro Comunale Modena conducted by Fabrizio Maria Carminati; as Megacle in L’Olimpiade by J. Myslivecek at the Teatro Comunale Bologna conducted by Oliver Von Dohnanyi. L’Olimpiade was released as a CD from Bongivanni discography. 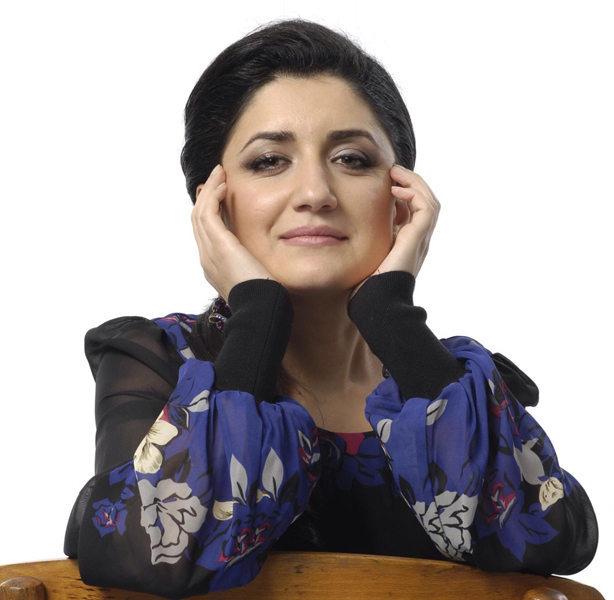 She is awarded the “2012 Golden Orfeo Gran Prix Leyla Gencer” by Academié Disque du Lyrique in France and the “ 2012 Best Female Voice” by Semiha Berksoy Opera Foundation in Turkey. In 2013 she sang in Stabat Mater by Pergolesi and Ave Maria by Raffaello Bellafronte with Orchestra Femminile Del Mediterraneo in Pescara. 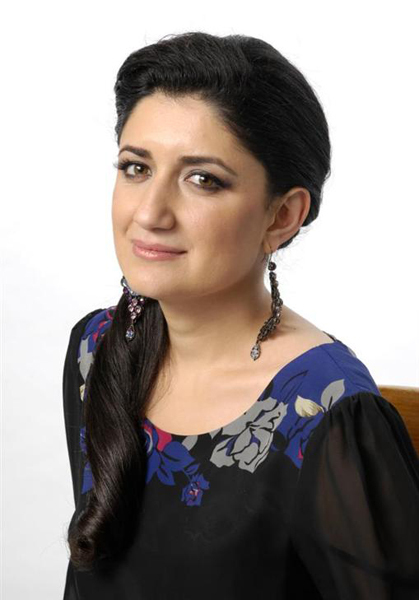 She is winner of the "2013 Best Female Voice" by Andante Magazine 4th Donizetti Classical Music Awards in Turkey. She sang as Tytania in A Midsummer Night’s Dream at the Macerata Opera Festival, directed by Francesco Micheli, as Despina in CosìFan Tutte by Mozart at the Theatro Lirico di Cagliari, conducted by Christopher Franklin, directed by Damiano Michieletto. In 2014 she recently sang as Rosina in Il Barbiere di Siviglia, conducted by Giuseppe La Malfa, directed by Francesco Esposito and as First Lady in Die Zauberflote at the Teatro Petruzzelli in Bari, conducted by Roland Boer and directed by Daniele Abbado. In 2015 she sang as Soloist in 4th Symphony by Mahler with Bilkent Symphony Orchestra in Ankara and she sang in Cantiere d’Internazionale di Montepulciano Festival in Italy.